SeaPerch, a program that brings underwater robotics to classrooms and demonstrates how they can be used for educational purposes, recently held a workshop at the University of Illinois Hydrosystems Laboratory. IISG’s Robin Goettel and Terri Hallesy were among the presenters and they shared a number of educational materials that teachers could combine with their classes’ underwater robots. Thirteen Champaign-Urbana science teachers were in attendance to learn how to incorporate SeaPerch underwater robots into their classroom curricula. Coordinators from Naval Sea Systems Command – Crane STEM led the morning session to introduce the SeaPerch program, provide helpful tips for constructing the complimentary robot kit each teacher received, and discuss relevant resources for classroom use. Additional robots commonly deployed for scientific applications were also highlighted. 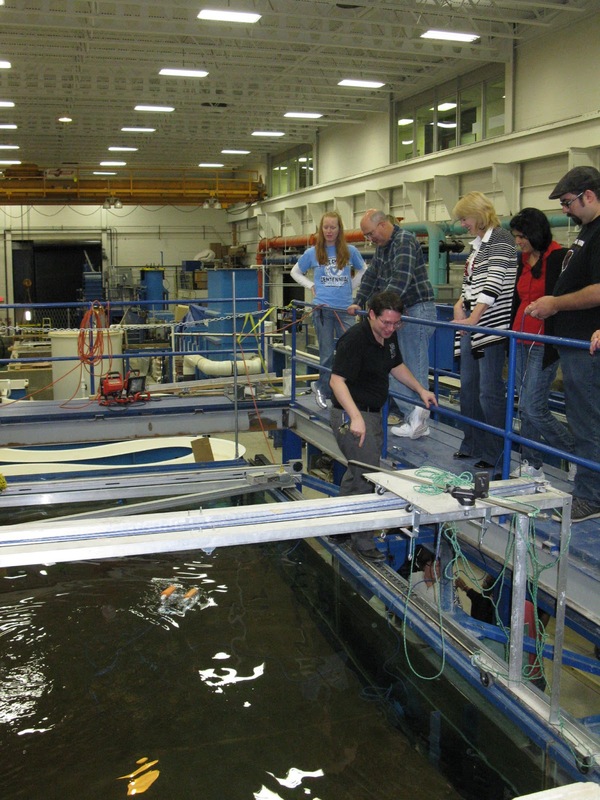 During the afternoon session, a live demonstration of the SeaPerch robot was conducted and teachers had an opportunity to operate the SeaPerch robots in the large-scale laboratory facilities. 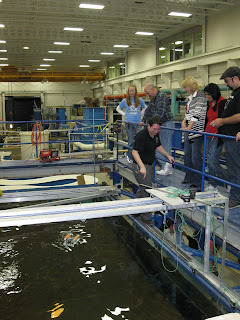 SeaPerch is a joint program of the Office of Naval Research and the AUVSI Foundation. Visit the SeaPerch homepage to learn more about bringing underwater robotics to the classroom, and for a calendar of upcoming workshops and events.